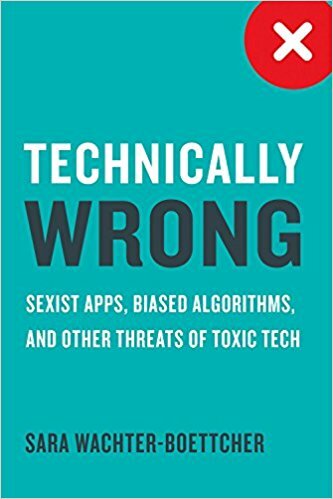 Technically Wrong, by Sara Wachter-Boettcher, is a very timely critique of apps and algorithms that embed the biases of the people who coded them. Many of the examples of built-in bias will make you cringe. There’s a research programme in the USA that will look at ways to create algorithms that explain themselves. Also, under the GDPR, people can challenge automated decisions and ask to be informed of the data which was used in the process, and for the decision to be reviewed by a human being. It really is no longer acceptable to not only not know how an AI program arrived at a decision, but to think that that state of affairs is ok.
Technically Wrong (Amazon affiliate link). This review originally appeared in the June issue of my newsletter, Digital Education. Subscribe for book reviews, news, views, opportunities to enter prize draws, and more. Click the picture below to be taken to the sign-up page.